Here's a picture of the first dam I designed. 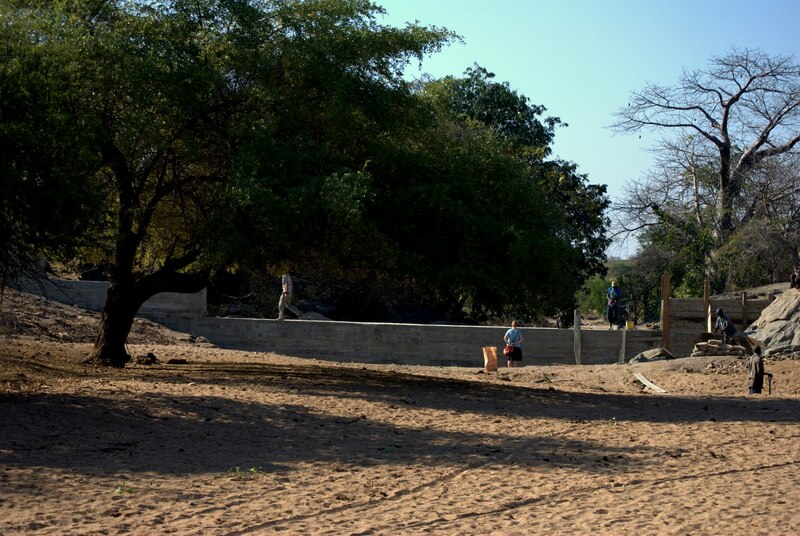 It is located in the community of Nhamunhu and it's almost complete! Too bad I won't be around to see it fill with water and sand, but I'm pretty happy about it. We've got a lot more to do before I head home at the end of July, so wish us luck!